MARLBOROUGH, Mass. 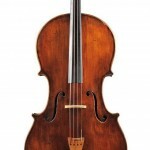 – September 17, 2013 – Skinner, Inc. is pleased to offer its first online-only Musical Instruments auction, taking place from September 18th through September 26th on the Skinner website. 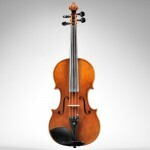 The auction will offer 250 lots of violins, violas, cellos, and bows for students, restoration, and the trade. Books and framed works of musical interest will also be offered. Full Size Violin, labeled John Juzek, c.